The emotional highs and lows of running 298 kilometres will be such a roller coaster for Alyx Ulbrich that he has likened it to being in mourning. The Japan-based American is taking part in the notorious Hong Kong Four Trails Ultra Challenge (HK4TUC). The event links the Maclehose, Wilson, Hong Kong and Lantau Trails in one non-stop mammoth slog. There are no check points and runners are not allowed any support on the trails, although they can get help travelling between them. If you reach the end, marked by the Mui Wo postbox, in under 60 hours you are a “finisher”, and if you get there in under 75 hours you are a “survivor”. Only six people have ever become finishers in the event made famous by the documentary film Breaking 60. “I try to remind myself everything comes in waves,” Ulbrich added. “The first one comes at 50km when I get there and realise how much is left. Then there is acceptance. It’s like the stages of mourning. 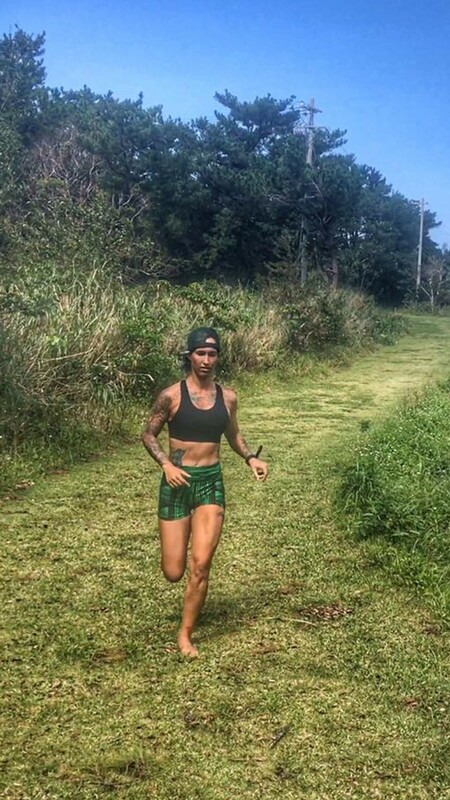 Ulbrich has run several 100-mile (161km) races, and even this weekend is taking part in the Hurt 100 in Hawaii simply because she got a place in both races. But with the huge distances to run, Ulbrich trains with a surprisingly low mileage. She had surgery a few years ago on her knee, and it has not stood up to consistent day in, day out running since, despite being fine during one-off big distances. As a result, she is cycling a great deal to get into shape for her two upcoming races. But her unique training is not what worries her. Ulbrich has also been unable to visit Hong Kong and recce the course, which makes her navigation woes even more acute. “I just like doing things that are different,” Ulbrich said, adding she could have entered a race more traditionally marked.